Good news! I’ve now got some evening groups and workshops set up in Brighton, East Sussex. Emotions link the body and mind and they affect our well-being. 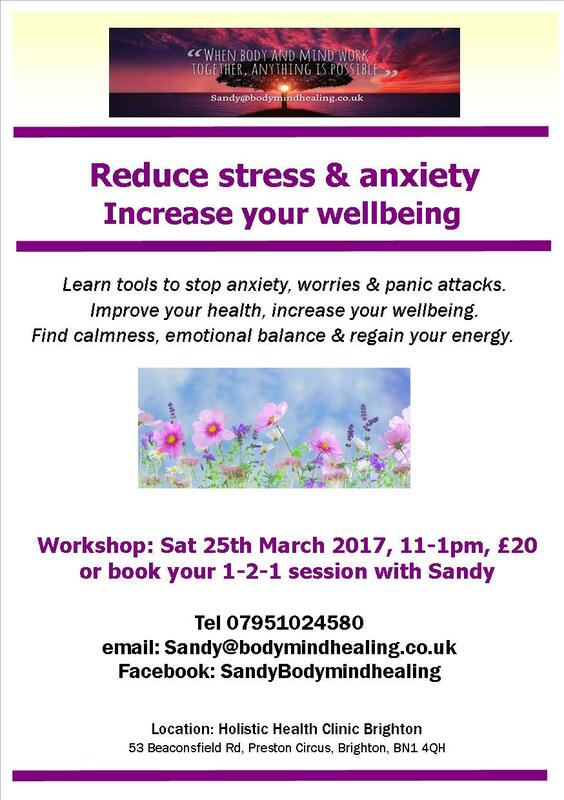 In this 2 hour workshop you’ll find out how to make peace with daily stress. You’ll learn techniques to let go of anxiety and worries to improve your work-life and emotional balance. In this 2 hour workshop you’ll learn how emotions can get trapped in the body and hold a particular condition in place. We’ll look at typical emotions around chronic pain and learn how to release them which often leads to an improvement of the condition. IF YOU MISSED THE WORKSHOP OR CAN’T MAKE THE DATE, GET SOME FRIENDS TOGETHER FOR AN ALTERNATIVE DATE AND CONTACT ME. I’M HAPPY TO REPEAT A WORKSHOP IF A MINIMUM OF 4 PEOPLE ATTEND. 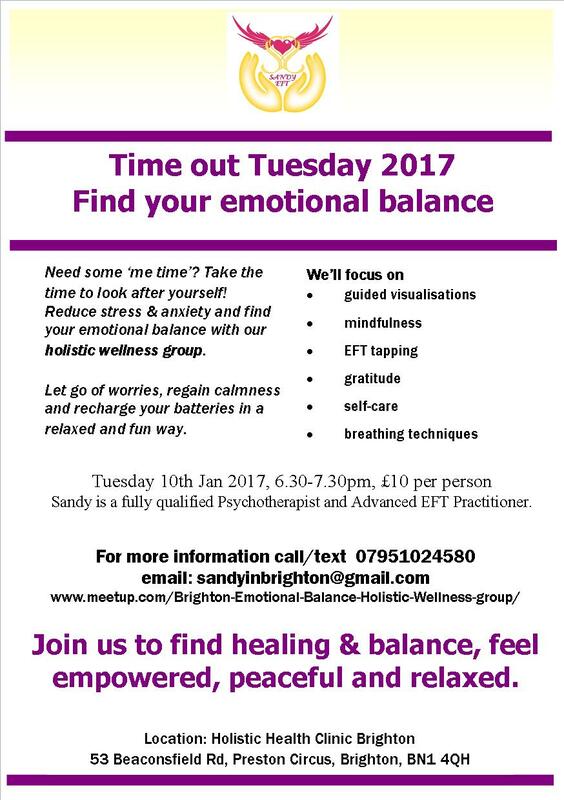 Running once a month on Tuesday evening from 6.30-7.30 in Brighton, £10 per person. The aim is to create a regular space for people to take some time to recharge their batteries, let go of worries and find balance and inner peace. If you’re interested, please sign up at my MeetUp group or email or text me to let me know that you’re coming. We’ve got limited space, so I need to keep an eye on numbers? 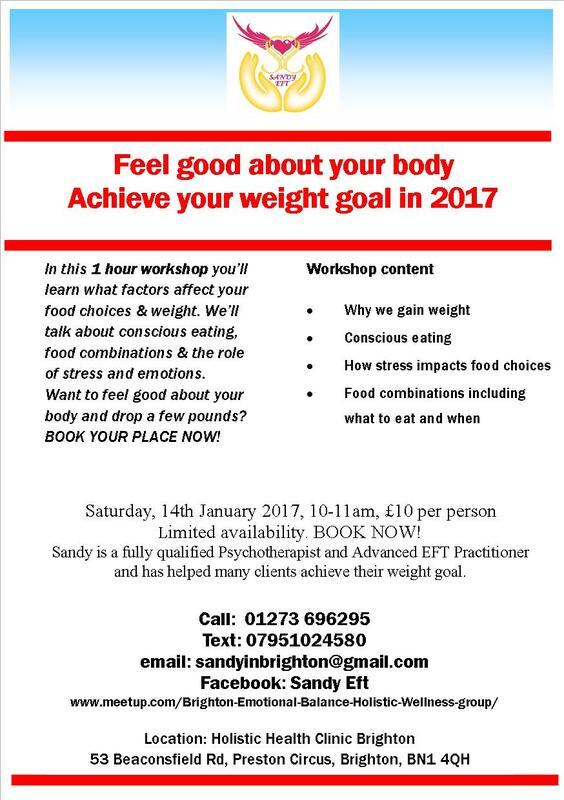 Follow-up with an optional 4 week weight loss programme. 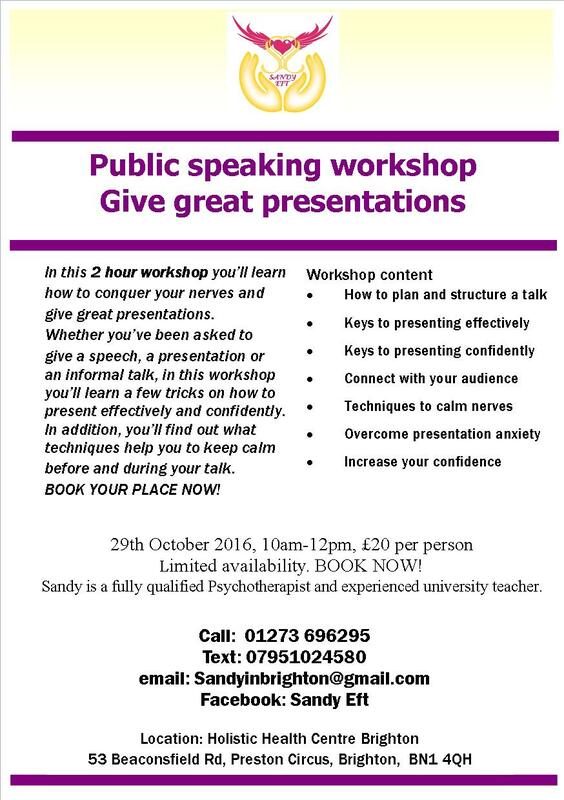 Whether you’ve been asked to give a speech, a presentation or an informal talk, in this workshop you’ll learn a few tricks on how to present effectively and confidently. In addition, you’ll find out what techniques help you to keep calm before and during your talk.